FreeViewer PST Viewer is a professional wizard that enables to manage and explore PST file in an easy and effective way. With free PST Viewer, one can easily view PST files by downloading this trustworthy software, which can be installed on all Windows operating system. Offers multiple preview options, which includes Normal Mail view, Properties view and attachments that easily allows to read PST file in a sophisticated way. Outlook has gained the heart of the users that allows users to manage multiple email account in a single interface to conveniently explore the emails. It stores the complete data in PST format, which includes the data of different mailbox items like emails, tasks, calendars, etc. The file extension of PST is a binary file format that is exclusively designed to save email information in particular order. The latest version of Outlook generates a Unicode PST format that can support a large-sized PST file. Node Database(NDB): It is one of the file structure of PST that contains header, blocks and nodes to store the data. While allocation info and node reference ensures to allocate the data efficiently. List, Tables and Properties(LTP): In this layer of PST file, it first converts with the Properties and stores the data in 2-D tables. Messaging Layer: This layer holds the logic to join both the NDB and LTP layers into messages, folders, properties and attachment. What If the Outlook PST File is Corrupted? The PST file, which is the soul of Outlook application is prone to get corrupt in several ways. This can be due to any human errors, intrusion of unknown virus or malicious software, technical failures like improper Outlook shutdown, etc. Altogether, the structure of the PST file is disturbed due to PST file corruption. Under such situation, a user won’t be able to send nor receive emails, which ultimately leads to data inaccessibility issue. One can go for manual solution that will help to resolve the PST corruption using Scanpst.exe, which is an inbuilt utility by Microsoft. However, running scanpst.exe will go in vain, if the PST file is severely damaged. Make the best use of Outlook PST Viewer tool that will quickly help to resolve both minor and major PST corruption. The free PST Viewer Software will also allow users to view and analyze the PST file after troubleshooting all the corruptions associated with the PST file. How to View PST File Without Outlook? The process of viewing the Outlook PST file without installing or configuring Outlook becomes easy with the help of PST Viewer software. Unlike other utilities available in the Internet which gives false promises to the user. This tool is not like that and it is an out of the box utility featured with the best algorithm to safely view and read the Outlook PST files. Renders Categorized View: It offers a complete categorized view of PST files. It includes the data items like Emails, Calendars, Tasks, Notes etc which can be previewed in a precise and manageable way. Allows PST Attachment Viewer: The free PST Viewer software is capable enough to view the entire email data along with the attachment. This remarkable feature allows users to download and fetch the attachments easily. View Password Protected, Encrypted and Damaged PST: The PST Viewer application can efficiently work to view the Corrupted, Password protected and Encrypted PST file by repairing the corruption from the PST file. 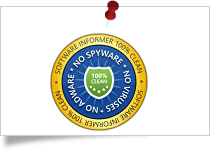 PST Email Forensics: This is one of the distinct and amazing feature of the tool. The software provides multiple preview modes to view the Outlook emails(Hex View, MIME View, Attachment View, RTF View, etc.). All these preview options are extremely useful for forensic purpose. Offers Advance Search Option: A user only needs to specify the details in the given fields that will smartly help to fetch a specific or particular emails from the PST file. Why there is a Need to Use this Free Outlook PST Viewer Software? This Freeware PST Viewer tool is designed in such a manner by the best technocrats that enables even a naive user to smoothly operate this tool. This ultra-quick software is power packed with numerous unique features that help every individual to smoothly open and view the Outlook PST file without facing any technical disputes. Some of the remarkable features are disclosed below in a comprehensive way. So readers, download this free application and accomplish your need instantly. It allows to view and open both healthy and corrupted PST Files. One can swiftly read PST file even when it is password protected. A user can effortlessly analyze the PST files without the need of installing Outlook application. Offers dual mode scanning options to securely open and read PST files. Ensures to maintain the metadata and data integrity properties after scanning and repairing the damaged Outlook PST. 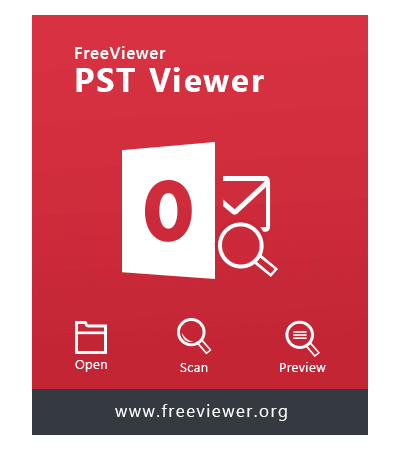 With the help of free PST Viewer tool, one can conveniently view every single data item of the Outlook PST file in a trouble-free way. The various mailbox items includes emails, tasks, calendars, etc. The best part is that it does not require Outlook installation to read and analyze the Outlook files. Additionally, it is also capable to view PST files, which is severely corrupted or damaged. This Outlook PST Viewer is a top-notch software which is developed keeping in mind the various manual limitations. Hence, it offers a simplified and a user-friendly interface to all the end users. Also, a user can easily view all the attached data related to the PST file. 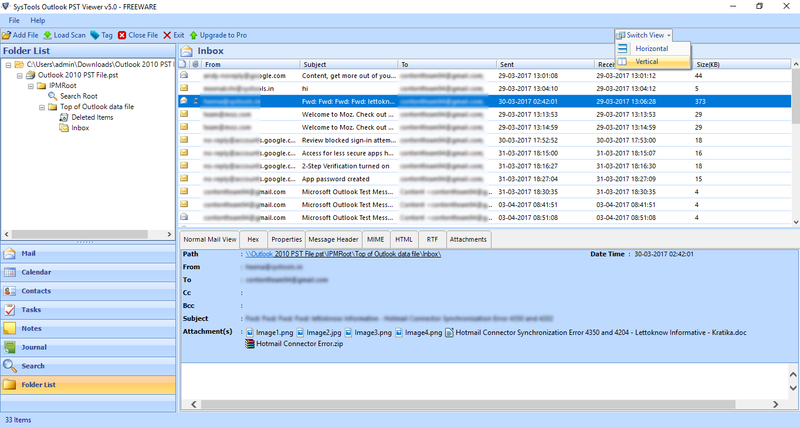 In addition to that, it ensures that the attachments are well-organized, which is associated with each Outlook emails. For a digital forensic investigator, email headers play an important role to know the detailed information of the emails. If there is any manipulation done to the Outlook email, that can be easily traced after reading and viewing the email header. Now, the search can be made easy with this remarkable utility to smoothly open and read PST file. By availing PST Viewer Pro Plus tool, one can easily know every single information of the email bit by bit. If in case, any change or modification is done to the email, it can be quickly fetched with HEX analysis of every individual email along with its header information. Moreover, the tool also allows to open email attachments which are large in size. 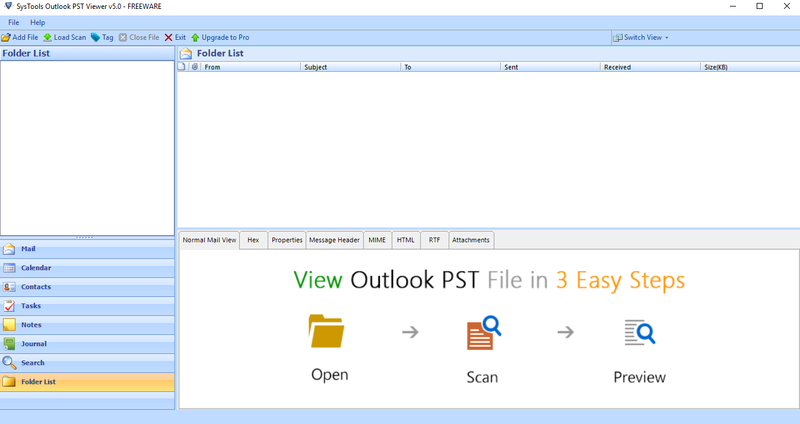 Besides reading the PST file, it also allows to analyze Outlook PST file in a reliable way. Now to search a particular email, one can make use of advance search option that will quickly fetch the data from a large-sized PST file. For that, simply mention the required details in the specified fields to effortlessly open PST file. In order to opt a set of extended features, users can make the best use of Pro and Pro Plus version. With this versions, apart from analyzing the PST file, a user will be also able to convert the PST file in different other file formats. Furthermore, it also provides the option to split the PST file into smaller parts without worrying about data loss issue. 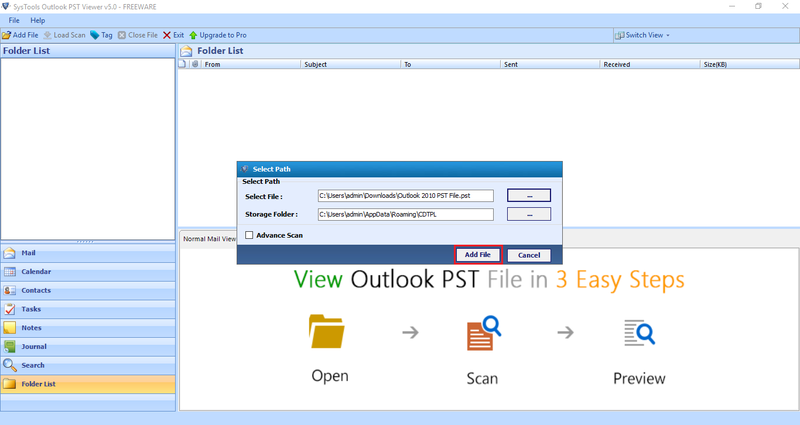 Free PST Viewer only preview Outlook Emails with Attachments, Upgrade to Outlook PST File Viewer Pro for Advance Search Option & Export PST Emails into PDF Format. Is it possible to run PST Viewer tool on Windows Vista system? Yes, this tool can be easily executed to view and analyze PST file on all versions of Windows operating system including the latest Windows 10 and the previous versions. Does the tool allow to read an orphan PST file to examine data for email forensics purpose? Yes, one can seamlessly read an orphan Outlook PST file, as it does not require Outlook configuration to run the tool. Does the tool allow to read password protected PST Files? Yes, it is an efficient utility that is capable enough to read the Outlook content that are password protected or encrypted emails. Do this software enables to read corrupted PST files? Yes, the tool is designed in such a manner that could help users in all possible ways, therefore it is also capable to open and read highly corrupted PST files. Is it is necessary to install Outlook to run the tool? No, the Free PST Viewer Software enables users to access PST file of any size without installing Outlook on the system. Is it possible to read email headers for forensic analysis of PST file? Yes, this tool is developed concerning the issues related to forensic purpose. Hence, one can smoothly fetch the email headers with regards to a particular email in order to analyze all the information related to the email in detail. FreeViewer OST Viewer Tool helps user to open offline Outlook OST file with attachments without having Microsoft Exchange environment. FreeViewer MSG Viewer Application used to open single or multiple Microsoft Outlook messages. View MSG file with associated attachments. OLK Viewer is on high demands, This tool can easily open Mac Outlook identity folder files. Open Outlook 2011 and 2016 OLK14 or OLK15 files.